Many a young boy goes to bed at night and dreams of baseball. 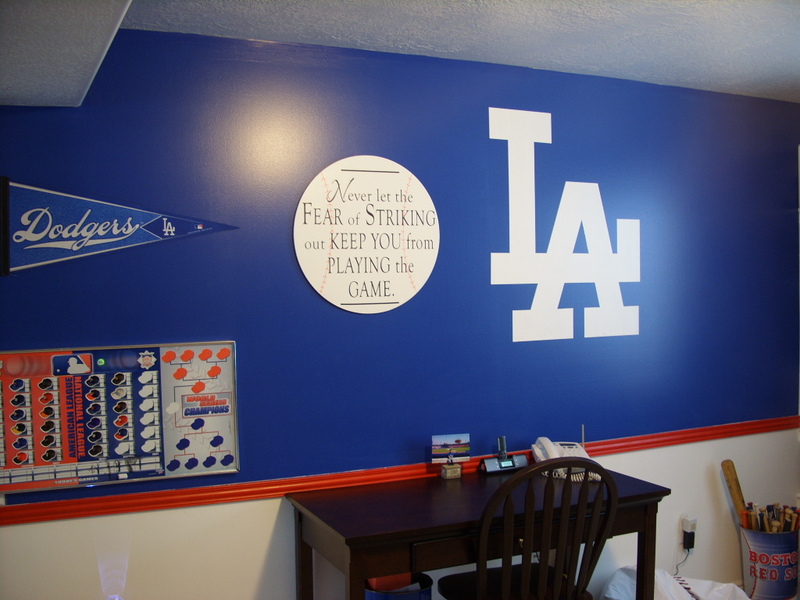 So why not help that process along with baseball bedding, which is a stylish addition to any school-aged baseball fan’s bedroom. 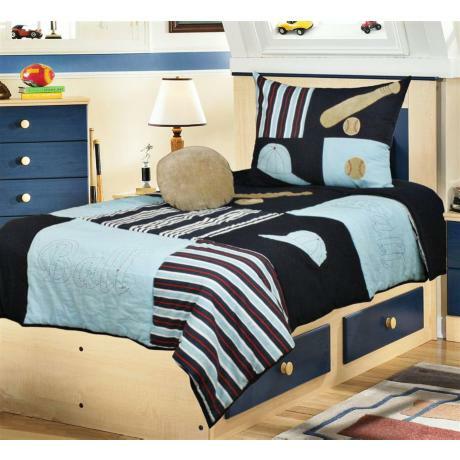 Baseball bedding can feature a whole host of themes. It can be repeating bats, repeating gloves or repeating balls. Or it can be a mix of these three essential pieces of baseball equipment. One popular set of baseball bedding features the logos of all 30 baseball teams — which would be good for a Major League Baseball fan who doesn’t necessarily have a favorite teams. But perhaps the most popular kind of baseball bedding is team specific. For example a set of New York Yankee bedding that would feature the Bronx Bomber’s navy blue, white and grey team colors and their iconic intertwined NY logo. You can get baseball bedding for any major league team. Typically baseball bedding comes in twin size, often as a five piece set that includes a comforter. Although you can also find baseball crib linings for the littlest fans and baseball bedding for bed sizes larger than twin for those who aren’t kids anymore. While baseball bedding is a good idea for a married couple who both share an affinity for the sport or for the same big league team, it is not necessarily a great choice for a single adult baseball fan because it might signal to a potential romantic partner that the displayer of such sports-themed sheets is not ready for a mature relationship. It would also be a little creepy for a fan of any age to have baseball bedding of their favorite player, rather than just their favorite team. Perhaps this is the reason there doesn’t seem to be any Derek Jeter baseball sets, to use an example of a popular player who you can’t have embroidered on your sheets. You can buy baseball bedding just about anywhere you can buy regular bedding, most sporting goods stores, Major League Baseball’s website and on your favorite team’s official website. Baseball bedding should run between $25 and $150 depending on the size and the quality of the set. Make sure to use the Internet to price baseball bedding before making a final purchase. Sweet baseball dreams!